Hard drive failure can bring business to a standstill—especially if there isn’t a solid backup plan. Because computers are increasingly relied on today, nonfunctional drives and devices in business can lead to losses in daily revenue and work efficency. 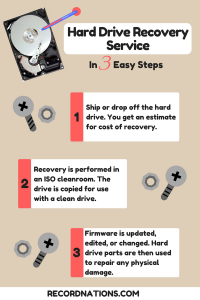 What are Hard Drive Recovery Services? Recovery services are used to repair and retrieve lost data from damaged or failed hard drives. Beside physical damage repair, services create a copy of the recoverable data on the drive where firmware fixes and other repairs are made—allowing your previously lost files to be returned to you on the device of your choice. When Do Hard Drives Fail? Corrupted files that cannot be opened may also be a sign of gradual hard drive failure. If there errors continue or increase in frequency, there’s a good chance the hard drive may crash in the near-future. If the blue screen persists after reinstalling the system or while in safe mode, then it’s likely a sign the drive is about to fail. 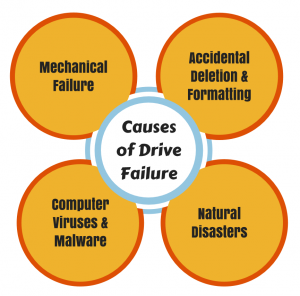 Inaccessible or un-writeable sectors on a computer’s disk drive or flash memory can also signal a failing drive. If you begin accumulating bad sectors in the disk or it happens often, it’s a sign of drive danger. When hard drives overheat, its components can sustain serious damage within seconds. Most drives have a maximum temperature threshold of around 140° F.
If contacts between printed circuit board components degrade due to heat, the drive may be unable to communicate with the computer. Overheating can also damage the controlled board’s firmware chip—immediately crippling the hard drive. With the information recovered from the failed hard drive, your retrieved data can be returned on a range of devices—including a fresh hard drive with files ready to run. Although it adds a few steps, recovering data from an encrypted hard drive that’s failed is still a possibility for recovery services. As long as you have the encryption key, you can still access your encrypted data post-recovery. Your files will be encrypted when they’re returned, at which point you can use another computer to decrypt the data and regain access. Need Hard Drive Recovery For a Failed Device? 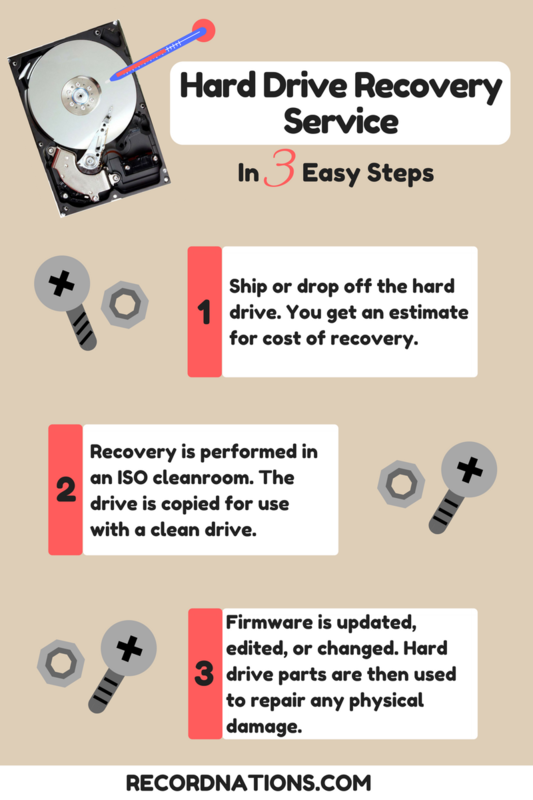 Record Nations can find you quality hard drive recovery services at the most competitive prices. Call us today at (866) 385-3706 or fill out the form on the right to get started. You will receive free, customized quotes in just minutes.